Vlad is from Sofia, Bulgaria. During his college years, he worked as a newspaper journalist for the first free press, and also anchored a national TV news program. Vlad earned an MBA from Babson College, and made a career in e-commerce, software, and marketing. Along the way, Vlad produced the Mastering The Job Interview DVD. Vlad's first book - The Excellence Habit, struck a nerve. 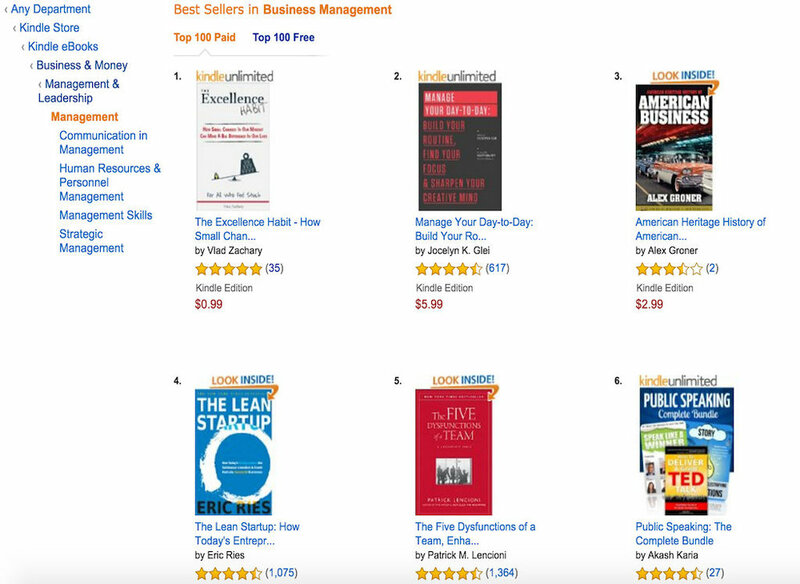 Launched in January, 2016, it became an instant Amazon best-seller in Business & Money, Applied Psychology, and Leadership. Next Generation Indie Books, named The Excellence Habit the Best 2016 Motivation book. It was also named Solo Medalist Winner by New Apple Literary, it is a Readers’ Choice Favorite and finalist at Eric Hoffer Awards. Did you enjoy The Excellence Habit? What would you like me to write about next? Take Control Of Your Career, Wealth And Relationships! Fill in the form below for your Free Roadmap! Are you interested in a Free Strategy Session with Vlad? Use the Contact section of the site to tell me - how best can I serve you? Click here for Your Roadmap to The Excellence Habit Transformation! please use this contact form! Within two minutes of takeoff, US Airways Flight 1549 lost both its engines. At an altitude of 2,818 feet, the aircraft hit a flock of Canadian geese and started to lose airspeed while still climbing. At that moment, Captain Chesley B. “Sully” Sullenberger took the controls over from First Officer Jeffrey Skiles, and the crew started exploring options for emergency landing. The date was January 15, 2009, and there were 150 passengers and five crewmembers on board. Nobody knows exactly how many options went through Captain Sully’s mind at that moment. His years of service as a fighter pilot, airline pilot, safety expert, and a glider pilot certainly played a big role in what happened in the next three minutes. In a calm tone of voice and with brief statements, Captain Sully informed ground control about the aircraft’s situation and requested emergency assistance. The controllers in the tower quickly offered a few options. In a concise manner, the captain rejected returning to LaGuardia or going to Newark. “We’ll be in the Hudson!” is the last we hear from the recording of that radio exchange. Since then, when boarding a plane I often wonder: to what extent are the pilots capable of the same fast and effective decision making that saved the lives of everybody that morning over Manhattan? Is Captain Sully a rare type of pilot, or are most of them qualified and prepared for extraordinary actions when needed? Can the aviation industry bottle Captain Sully and make him available in every cockpit? Can his excellence be learned? Can it be taught? When examining human excellence, psychologists focus on understanding exceptional achievement in domains such as science, art, or sports. Some focus on natural talent, others on intensive training and practice. Then there are those who examine excellence as a product of context. For those supporting the nurture argument, it is all about exceptional performance training, deliberate practice, and a precocious involvement and commitment to a specific domain. The nurture fans believe that anyone can make it, and all they really need is hard and smart work. Regardless of context, personality traits, or upbringing, anyone can succeed with the right training. This is fully in line with the American fascination with the underdog. The notion that we were all created equal has taken root in our public discourse and has powerful implications socially, politically, on a personal level, and in our educational system. Popular culture reinforces these ideas with potent stories. From Rocky and The Silence of the Lambs, to Avatar and The Girl with the Dragon Tattoo, we follow and care about the journey of an unlikely hero who overcomes huge obstacles. Mainstream media reinforces this idea, too. We are accustomed to reading all about Bill Gates, Steve Jobs, Mark Zuckerberg, or Malala Yousafzai. They all achieved their status, fortune, and fame with tons of hard work and by overcoming unusually hard circumstances. What is interesting about the nurture argument is that it is a relatively modern occurrence. Up until a few short decades ago, people were not expected to achieve much unless they were from the right caste, the right college, or born with the right title. In some countries you had to be a member of the Communist Party. We are now mostly done with the caste systems. There are fewer social barriers than ever, and this has increased our expectations. Never before have expectations been so high about what humans can achieve in their lives. The president of the United States is African American, the CEO of Microsoft is Indian-born, and rapper Dr. Dre sold his headphones company to Apple for $3 billion. We are told from many sources that anyone can achieve anything. This spirit of equality is a beautiful idea. Everybody now wears jeans and a T-shirt, yet deep, real inequalities remain. We are made to feel that if we have a bright idea, a garage or office, and work very, very hard, we can all become like Bill Gates or Steve Jobs. In reality—it is more likely to be hit by a lightning or win the lottery. Yet, the notion persists. The second and perhaps more interesting fact about these high expectations is that we now officially live in the age of meritocracy. Politicians on the left and right, educators and social influencers agree that it is a good idea, and we should make our society more meritocratic. In other words, if you’ve got talent, energy, and skill, nothing should hold you back. You will get to the top. It is a logical, beautiful idea. If you deserve “it,” you will get “it.” There are a few problems with this idea. For one, if we truly believe in it, by implication the opposite must be true as well. Those who deserve to get to the bottom will get to the bottom and stay there. In other words, your position in life is merited and deserved. As a result, failure is much more harsh, personal, and devastating. It is almost presumed to be deliberate. It is curious how language has evolved to reflect this change in attitude. If we met a poor person a hundred years ago, we would likely call them unfortunate. Back then, we would describe them as someone who did not have enough fortune, who was not lucky enough. Nowadays, we would not be surprised to hear someone at the bottom of society be called a loser. I think we can all agree that there is a big difference between unfortunate and a loser. As a society we have evolved to believe less in God and more in ourselves. We are in the driver’s seat of our lives, and, therefore, we own both success and failure. On a personal level, this has made it more difficult to feel good about our current level of success. By accepting the idea that we could achieve anything, we have increased the pressure on ourselves to do so. Paradoxically, this makes it more difficult to reach our goals. There is more than one way to achieve excellence. Those who support the nature argument focus on cognitive, motivational, affective, and personality characteristics, as well as contextual elements. They believe that enhanced learning experiences and supportive environments are crucial factors in the process of excellence. While there is no sharp distinction between the two camps, nature versus nurture is a debate with passionate supporters on both sides. There are no apparent “winners.” When we consider the power of context, it becomes even more difficult to offer clear-cut answers. Yet, on a personal level, there is an easy choice. When we want to reach higher we cannot do much about our nature. We are who we are—born with a predetermined collection of genes. We have our particular history, our upbringing, and our education. They are in the past and we cannot change them. We can’t do much about luck either, other than prepare for it. At the end of the day, all we can really affect is ourselves. We can choose to practice more, practice better, and always do the right thing. When we find the way to build ourselves up, we hope our nature finds a way to adjust and our luck follows. This is why we say that great people create their circumstances. It is not because they have some magical powers to influence the world around them in a secret way. It is because they have built the habit to work and excel while others are just comfortable with the status quo. Excellence, therefore, is a function of the people who choose it, the preparation itself, and the principles that apply to this preparation. And when excellence happens, it is because all these agents of change have converged. These agents of change I call the Iceberg Principle, the Law of Not Selling Out and the Journey Mindset. Buy and download the Auidobook! Vlad lives near Boston, Massachusetts, with his family, and two dogs.